As Missoula Mayor John Engen looks to 2019, he sees a promising year in housing and economic development. Construction at the Riverfront Triangle is expected to begin, and Public Works will take a long-range look at transportation planning across the city. As he has in each of the past several years, Engen sat down with the Missoula Current to discuss his vision for the year ahead and his administration’s priorities moving forward (watch the interview here). As was the case last year, housing topped his list. With the exception of the recession, housing costs in Missoula have increased year over year, climbing from an average of $215,000 in 2008 to $300,000 last year. Faced with those figures and warnings from economists that housing costs could slow economic growth, Engen convened a steering committee in 2017 to explore solutions. 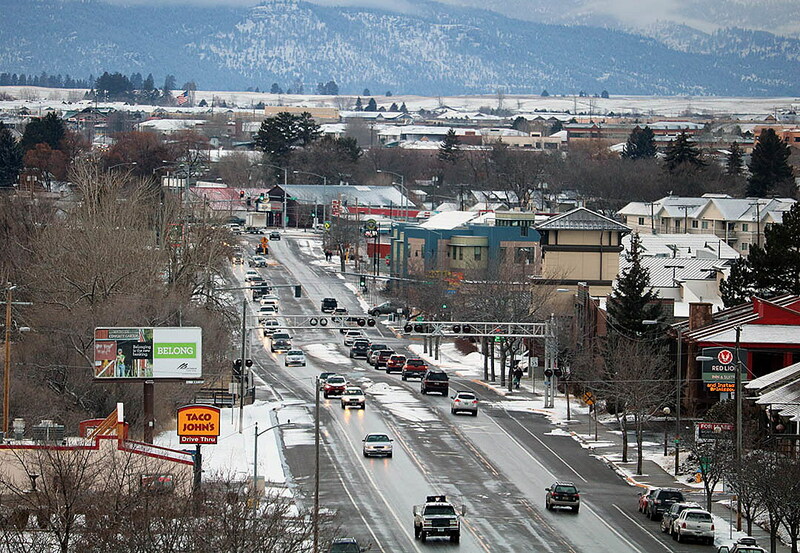 While Missoula isn’t the only city faced with challenges around cost and supply, the mayor believes local solutions and best practices can help resolve the issue. The housing committee and its technical working groups are expected to present their recommendations to the City Council this spring. That could result in the city’s first official policy on housing. While the city awaits its housing recommendations, Engen also has an eye on development and economic growth. Investors and businesses remain bullish on Missoula, he said, and promising gains loom on the horizon. Among them, Missoula International Airport will see continued growth in air service, and is scheduled to break ground this month on a new passenger terminal, one Engen said is long overdue. Advanced Technology Group may also begin a major jobs expansion under its new owner, Cognizant. That was articulated last April by Fritz Lanman, CEO of ClassPass, who said corporations like his were leaving costly metros for small- and mid-sized markets like Missoula that offer quality of life and access to a talented workforce. Engen believes other companies hold similar sentiments. Last September, Missoula Economic Partnership underwent a transition in leadership after a successful year in job growth and business recruitment. The organization is now under the leadership of executive director Grant Kier and economic development director Julie Lacey. As such, Engen expects MEP to reinvent itself and capitalize off the city’s strengths and successes. The city last year also logged its first full year of owning and operating Missoula Water, and it completed the annexation of 3,200 acres west of Reserve Street, which Engen said will aid in future planning. While that move didn’t come without critics, Engen said it was necessary on a number of fronts. A second downtown hotel is also expected to break ground on the corner of Pattee and Main streets this spring. Engen said the addition of new hotel rooms, as envisioned in the Downtown Master Plan, will buoy downtown retailers and spawn other investment. Engen would also like to see residential development grow downtown and said there may be fresh opportunities to see that happen. While developers have invested tens of millions of private dollars downtown over the past two years, Engen would like to see some of that investment move down the West Broadway corridor. Reconstruction of the Higgins Avenue Bridge and Russell Street Bridge this year could help. So could the Trump administration’s new Opportunity Zones, Engen said. Engen believes that future investment could bring new economic opportunities to what’s now considered a low-income census tract. Engen said his administration is also looking for ways to improve snowplowing and build out the city’s sidewalk infrastructure. Long-range transportation planning is in the works, he said. “We’re looking at ways to be better at snowplowing, ways to be better at delivering sidewalk infrastructure, and we’re doing some reorganizing in our Public Works department so maintenance is a little more manageable,” he said.